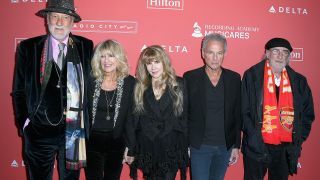 Lindsey Buckingham is suing Fleetwood Mac after he was dismissed from the band earlier this year. Now Buckingham is taking legal action again his old band, filing documents in Los Angeles Superior Court claiming that he lost up to $14 million as a result. The papers, obtained by Rolling Stone, say that Buckingham asked the band to postpone the start of the tour by three months to enable him tour and promote his solo album – with Buckingham also looking into playing solo shows in between Fleetwood Mac duties. The complaint also states that “After 43 years of camaraderie and friendship, not a single member of the band called Buckingham to break the news to him. Speaking with Rolling Stone, Buckingham says: “Last January, Fleetwood Mac made the decision to continue to tour without me. I remain deeply surprised and saddened, as this decision ends the beautiful 43-year legacy we built together. A Fleetwood Mac spokesperson added: “It’s impossible for the band to offer comment on a legal complaint they have not seen.